I have been a backpacker for most of 2018, so I am the first to ask what there is to do in a new city. My visits are usually a whirlwind of activity as I strive to discover all there is in the area within a matter of days, followed by a day of utter exhaustion when I recuperate: a holiday from my holiday. So when I arrived in Playa del Carmen in Riviera Maya, my intention for being here was to study my Divemaster course with Dune Mexico Blue Dream, with the hopes of seeing something else every now and again. Never would I have thought that Playa del Carmen and Riviera Maya has so much to offer, not only scuba diving in the reefs or lunching in the centre of town. If you are after some different aventures and want more than the 5th Avenue tourist experience, read on for my top activities and things to do in Playa del Carmen. 1. Take a day trip to Cozumel. For divers, Cozumel is renowned for having some of the best diving in Mexico. The Gulf stream ocean current awards the island with a fantastic array of marine life and biodiversity, whilst making it a perfect and exciting drift dive on a wall that stretches down past 400 metres. This is perfect for those thrillseekers out there! That’s not to say there’s nothing for non divers. Cozumel has a wide variety of ecotourism activities for the whole family. You can admire the view at the top of Punta Sur Park lighthouse, snorkel on the reef and take a boat trip on the lagoon to meet crocodiles, or visit the archaeological site in the center of the island. Take a ferry from the centre for a day or stay a night or two and relax on this spectacular caribbean island. Book your trip to Cozumel HERE. 2. Visit Mayan ruins in Tulum and Coba. Tulum is just an hour bus ride from Playa del Carmen, and it’s a stunning beach-side town. Its spectacular Mayan citadel by the beach will take your breath away. If can handle an early morning, head to Tulum’s Paradise Beach (Playa Paraiso) to watch a spectacular sunrise. Take a 45 minute detour from Tulum to Coba, where you can climb the great pyramid, the largest Mayan structure that you can still climb. Contact us to book your Mayan ruins experience. 3. 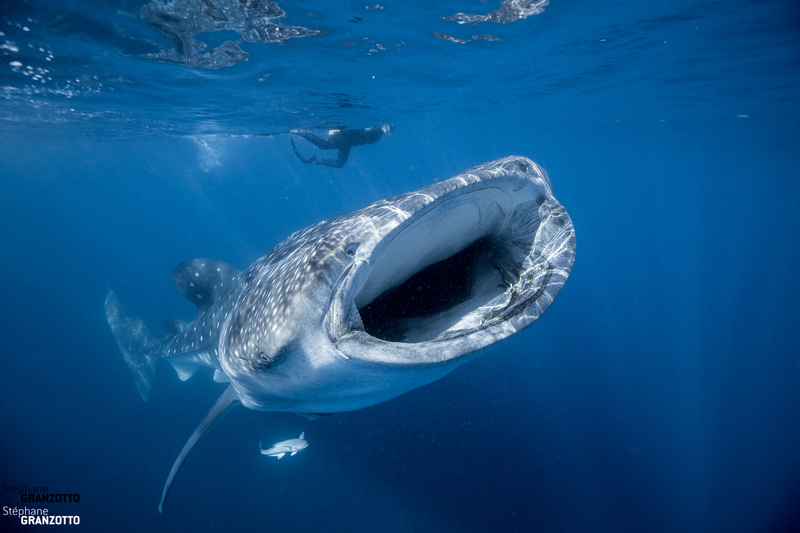 Snorkel with whale sharks in Isla Mujeres. If you visit between June and September, you absolutely cannot miss a day snorkelling with the world’s largest fish. These gentle giants are a true wonder to see in the ocean, and to swim right next to them is an experience you will never forget. The activity operates out of Isla Mujeres, an hour to the north near Cancun, but pickups from Playa del Carmen are offered. IMPORTANT TIP: Don’t forget your GoPro! You can rent one with us! 4. Head to a local neighbourhood. 5. Take a dip in the mysterious crystalline cenotes. Jumping into the never-ending crisp waters and awing at the limestone structures is the perfect way to spend a warm day in Playa del Carmen. Cenotes are limestone sinkholes of freshwater that has been filtered through the stone to produce water so clear, it has visibility of over 100 meters, I would say the same as on land. At these hidden locations, you can swim in crisp mineral-rich waters in magical caves and feel lost in another time. Certified divers use these caves and caverns to take their diving to another level, some to become certified in technical and cave diving. However you can simply cool off with a swim and snorkel if diving isn’t for you. 6. Explore underground caves and cenotes. Far from mass tourism and the big attraction parks, Secret footsteps will take you on an underground journey into the heart of the Yucatan peninsula: the Cenote systems. You will understand and discover the deep connections in between caves, underground rivers, cenotes and both the jungle, our ecosystem, and the last civilisation that inhabited the area, the Mayan. This mystical walking tour is perfect for non swimmers and ideal for divers to understand the cave systems in which they dive, making it a great day out for the whole family. If you’re still looking for a thrill at the end of this list, don’t think I’m done! Riviera Maya has so much more such as zip wires, rappelling, kitesurfing, windsurfing, surfing, snorkeling, fishing, golf, motorcycle rides, bicycles, canoes and kayaks. You will never be bored here. And don’t forget to include a day of simply relaxing by the beach, and enjoy the sound of the Caribbean Sea crashing against the sand and letting the world’s worry slip away into the sunset. For more ideas on things to do in Playa del Carmen, connect with our Facebook and Instagram accounts to see what we’re up to each week.